Everyone deserves to sparkle- The Oscar for the best actresses goes to – The Calcium Cailíní agus báinne blásta! The second year Home Economics class entered into the National Dairy Council’s Milk it Awards http://milkitawards.ie/ before Christmas. 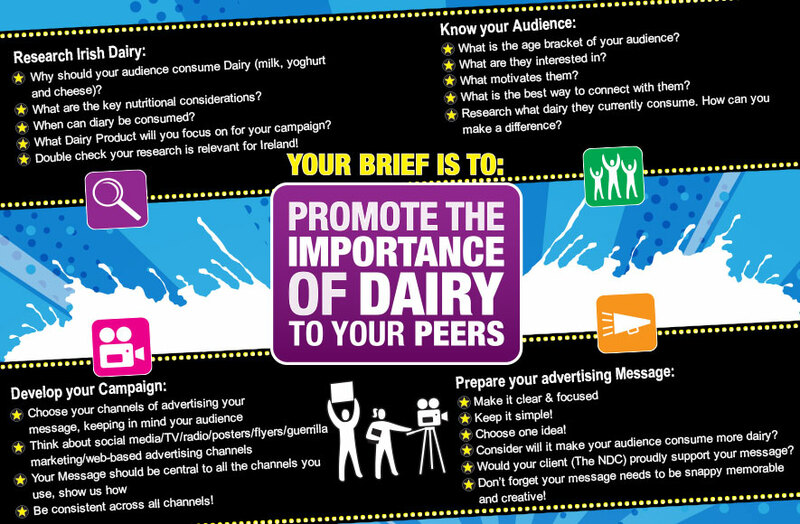 The girls had to decide how to promote the importance of dairy to their peers and to brainstorm how to communicate that message creatively to everyone in the school as well as the wider community. We decided to take a modern take on the whole campaign and we decided to get on trend with what young people are interested in therefore we designed a milk campaign based on instagram and snapchat. The aims of our campaign were..
To help the Ballyfermot community to make the link between milk and the real food we eat everyday. To build people’s confidence in knowing their body and what they need in their diet and to have a better understanding of the impact of their actions and decisions in their life. To build a positive image of milk.